Priceline isn't just going to be about William Shatner teaching daughter Kaley Cuoco about the "art of the deal" anymore, now it will also be where you can book a table for dinner. Announced this morning, Priceline will purchase OpenTable for about $2.6 billion in cash, or about $103 a share at a 46 percent premium over the closing share price on Thursday. 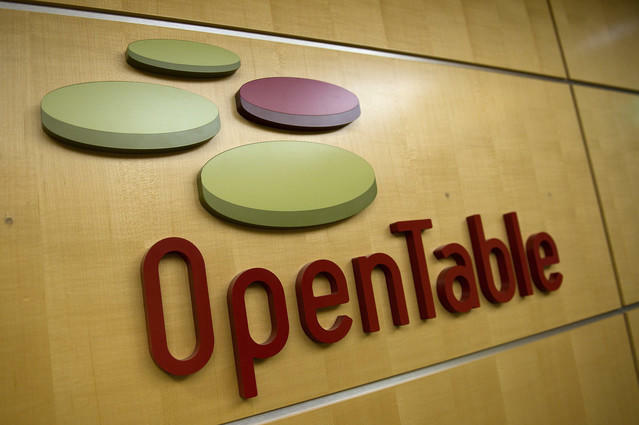 OpenTable had revenues of $190 million last year, an 18 percent increase over the previous year. Priceline took in around $6.8 billion for the year. While the discrepancy between OpenTable's revenue and its sale price may seem a tad odd, Priceline has a history of turning smaller businesses into major ones. One example given by The Wall Street Journal was Booking.com which only had $25 million in revenues when it was acquired but has now gone on to be a household name due to its seemingly endless string of television commercials. Priceline says it will take the same strategy it did with Booking and Kayak and let OpenTable run nearly autonomous from its new parent company, but with that gap between revenue and purchase price, we imagine that it will have at least a few things to say. The acquisition is scheduled to close in the third quarter of this year.